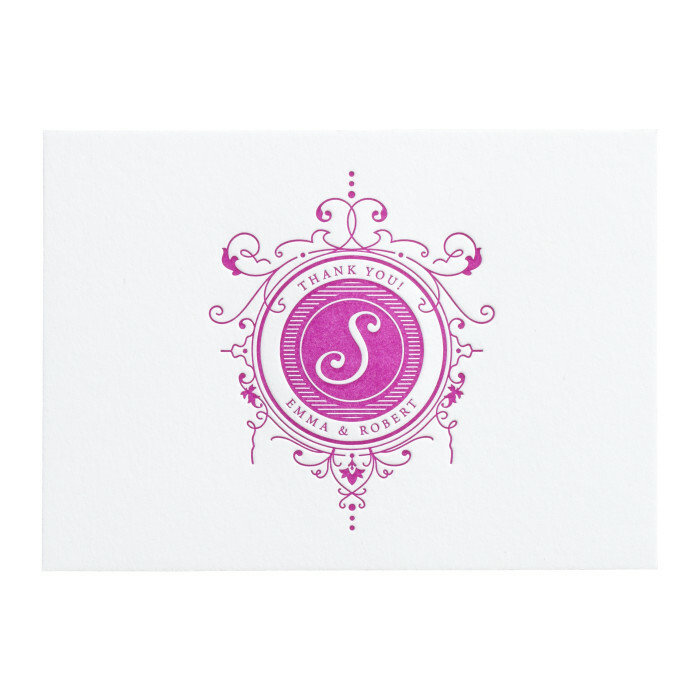 Uniquely modern, the Emma Thank You Card is a flat card with a blank back side for a personal hand-written message. Featuring a showstopping family initial "crest", this piece is eye-catching in a punchy color. As the last piece that your guests will see, it leaves a dazzling last impression. 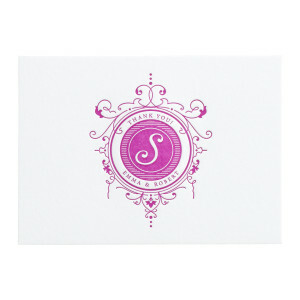 The card is one-color letterpress printed single-sided on luxuriously thick cotton cover stock with a textured tactility. $629 for 100 one-color letterpress printed, or $366 for 100 flat printed Thank You Cards.